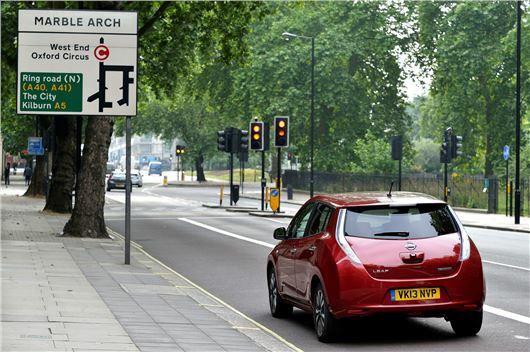 Comment: London Congestion Charge - time to change the rules? For many businesses that operate in the nation's capital, the London Congestion Charge has become an extra cost. Originally set at £5 a day all cars and vans were charges unless they ran on alternative fuels. This included LPG (liquefied petroleum gas) and CNG (compressed natural gas) converted vehicles. With hindsight it was foolish of Transport for London to allow manufacturers any negotiation when the charge was introduced. It was a congestion charge, not an environmental tax. A hybrid 4x4 or LPG-converted Volvo estate took up a great deal of space on the road. The goalposts shifted in 2008 with a move to a CO2-based threshold. This was good news for many company cars as some fleets had already moved into low CO2 vehicles for taxation purposes, and the limit of 100g/km allowed a reasonable number of vehicles to enter the charging zone for free. And as car manufacturers worked harder to reduce CO2 emissions of new and updated vehicles, the list of eligible cars grew. Today, free entry to the charging zone is limited to vehicles with CO2 emissions of 75g/km or less, and the charge is £11.50 per day for vehicles above the limit. This means the only car without a plug that gains free entry is the recently revised Toyota Yaris Hybrid. Anything else now, or in the immediate future, that qualifies has to be fully electric or a plug in hybrid. So let's take a look at that list. There's the Nissan Leaf, the Renault Zoe and the BMW i3 (both pure electric and range-estender versions. The 27g/km Vauxhall Ampera, the Chevrolet Volt also qualify - both medium sized four-seat family cars - and the Toyota Prius PHV (a five-seater). The Mitsubishi Outlander PHEV and Volvo V60 D6 plug-in hybrid are both eligible with CO2 emissions below 50g/km. Wait a minite, these are actually large cars . . . The Porsche Panamera S E-Hybrid, and soon-to-be-launched Mercedes-Benz S-Class plug-in hybrid are also sub-75g/km cars. And these are really big. Now we learn that the next Volvo XC90 will come with a plug-in hybrid version with CO2 emissions of 60g/km. So a seven-seat SUV will be given a free pass into one of Europe's most congested cities. Some have compaigned against diesel cars because of the impact diesel exhaust emissions can have on local air quality with higher levels of NOx emissions than petrol cars as well as particulate emissions. But even if cities that have charging zones or are considering introducing them target the NOx and particulate emissions, even the largest plug-in petrol hybrids wouldn't come under threat. Just imagine if everyone using London decided to choose a congestion-charge dodging car that was bigger than the one they were using. Congestion would be much worse because vehicles would be taking up more space. The time has come to review the rules. We need to bin the CO2-based system currently in place unless it also takes into account vehicle size. If the maximum length of a congestion charge free vehicle was four-metres long, not only would it increase revenue by making the owners of the many larger cars cough up, it would reduce congestion by having more smaller cars in the city. Let's make the congestion charge in London, and any new scheme elsewhere, a charge on congestion, and not merely on the emissions a vehicle produces. hi to everyone.people pay out a large sum of money to enable them to drive into london on electric power, so the discussion on size of vehicle is immaterial as the health of the city is paramount.kind regards clint.